Paul Coleman, Project Manager, gives us a quick update on the latest news at the Folly. 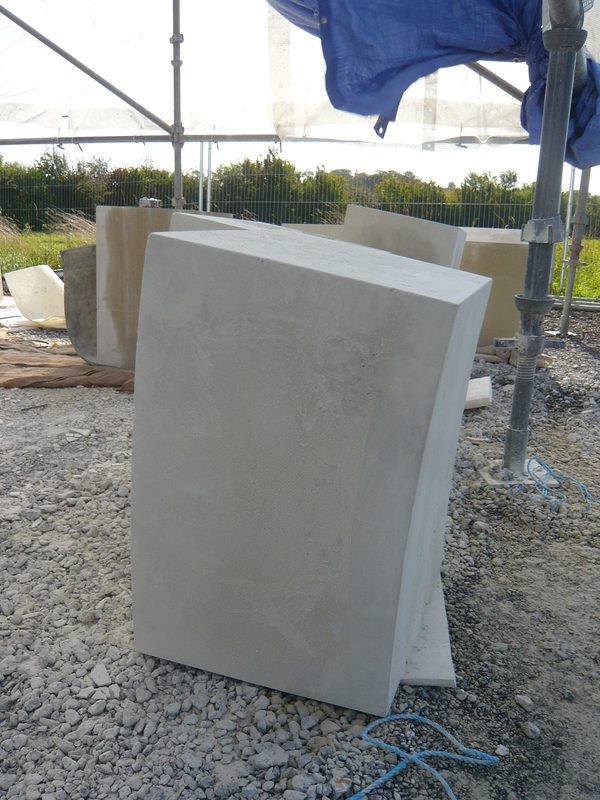 Well if you’ve read our blog post about the Crenulations, Merlons and Machicolations (the bits which sit on top of the Gothic Folly top) the exciting news is the stone has arrived on site and our stone masons have started to mark out and shape the pieces which will sit on top of the tower. 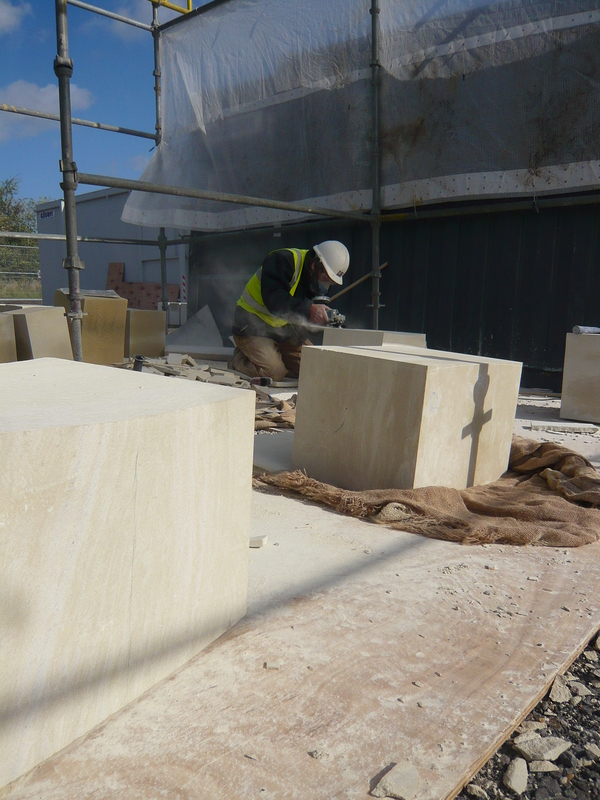 We are using Chilmark stone for those bits at the very top which will be prone to weather damage and which will take the full brunt of the rain. Chilmark is very similar to clunch in appearance but is more durable and harder, so the top is last many years into the future. Works to remove the existing brick top inserted in the early 1900s and reinstate with stonework is costing circa £51,000, excluding the cost of the scaffold. This entry was posted in Buildings, Conservation, Landscape and tagged conservation, Folly, landscape, wimpole by ntwimpole. Bookmark the permalink.